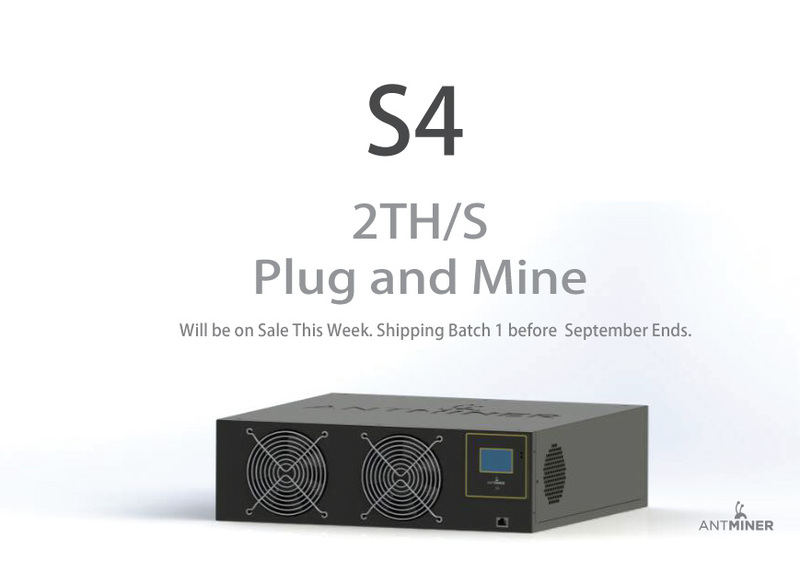 Bitmain has just posted a teaser about an upcoming product in the form of a Bitcoin ASIC miner – AntMiner S4. The new miner is supposed to offer 2 THS hashrate, but no other specifications or price is yet revealed. The tester does say however that the new miner should be available for order by the end of the week and it should start shipping to customers by the end of September. So it seems that the company is returning back to their previous way of doing business – announcing new miner and starting to ship it soon after orders are accepted and paid. Unlike with their recent announcement of a pre-order Scrypt ASIC miner – Bitmain Antminer L1 that did get not so positive feedback from users that are not happy with pre-orders that they have to wait for months.